“I feel so much better after all this laughing,” our friend told us. “My brain fog has lifted. I feel myself again.” Our friend has been struggling with memory issues and a dimness in her thinking. We had a wonderful time practicing laughing exercises with her. The more we laughed together, the easier and more spontaneous our laughter flowed. Laughing during the dementia journey left us all feeling healthier, happier, and more energized. As I develop my own laughter practice, I wanted to know more from someone who’s really integrated laughing into her life. I asked Amy Kuth to share her insights. 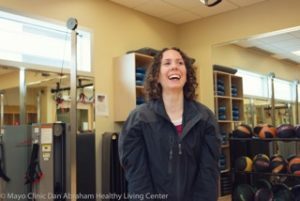 Amy is a Health & Wellness Coach at Mayo Clinic’s Dan Abraham Healthy Living Center in Rochester, MN. She has been practicing laughter for several years and has created an on-going Laughter Club for Mayo employees. She recently completed a five-day teacher training course. Here is my Q and A with Amy. 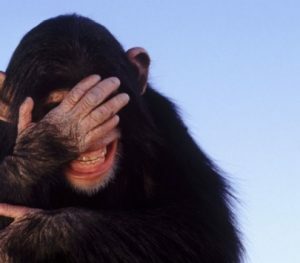 What benefits have you seen from your laughter yoga practice? Laughter yoga helped me discover my playful side again after it had gotten buried under life pressures and self-criticism. Since I started leading laughter yoga and having a regular laughter practice I have become more confident, creative, and playful at home and in my workplace. Laughter brings me into the present moment, creates harmony in my mind/body/spirit, connects me to those that I am laughing with, and always puts me in a good mood! I also set a daily intention to bring extra laughter into my specific work unit, outside of the laughter yoga sessions. Doing this elevates our mood, encourages playfulness, increases creativity, and brings us closer together as a team. How has your team, working in Employee Health at Mayo, benefitted from the extra laughter? 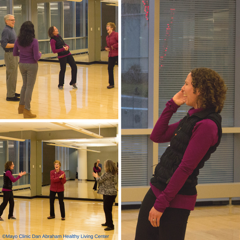 In the weekly Mayo Clinic Laughter Club, we do a one word check-in at the end of our laughter yoga sessions. Words include: relaxed, energized, calm, happy, stress-free, , warm, peaceful, and grateful. These sessions are a great way for participants to take a break from work and other responsibilities, and to refresh and reset. The benefits of these sessions are then carried into the rest of their day. 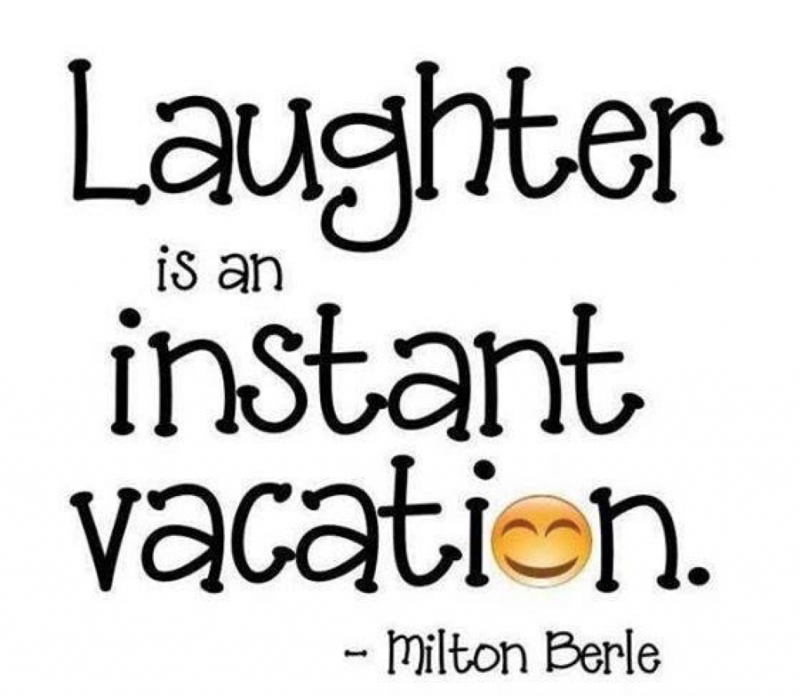 What are some quick ways to add a splash of laughter into your day? Plenty of haha’s a day keep the doctor away! Surround yourself with positive people and things. Laugh in your car while you are driving to work. Affirm yourself with a smile and laughter while looking in the mirror. Smile at someone else and see what happens. Attend a laughter yoga club. Add humor to your day through media, fun activities, and social connections. Laugh into your cell phone, even if nobody is on the other line. Join a live laughter party on the phone. 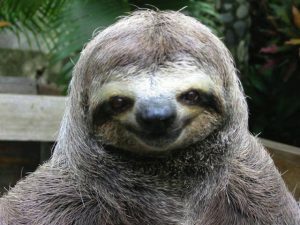 Set a timer for one-minute and just laugh until the time is up. Why is adding laughter to our day important? In a typical day, laughter is usually sporadic and short lived. In order to gain the most benefit from laughter it needs to be long and deep, stimulating the diaphragm. Intentionally adding laughter to our day helps us receive these benefits. The benefits of laughter can be summarized simply by remembering the 5 H’s, which I learned in my teacher training. 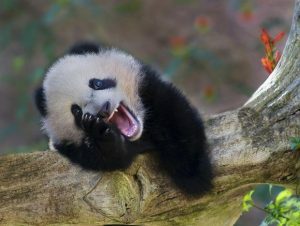 Happy : Laughter makes us happier by elevating our mood and attitude. We do better in life with a improved mood and attitude. Healthy: Laughter improves our immune system and physical health. When we are healthier we can do more. Harmony: Laughter oxygenates and creates harmony in our body and brain. What we do is more effective and efficient. Heartfelt: Laughter enriches our relationships and creates connection with others and with our self. Laughter is a universal language that breaks down barriers and causes judgment and self-criticism to fade. Hopeful: Laughter increases resilience. We bounce back better from adversity.